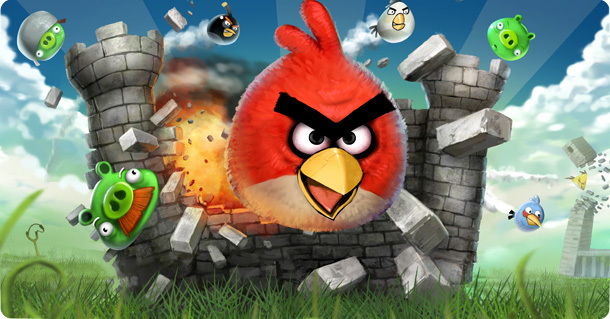 Angry Birds – The best selling iPhone game of bird and pig aggression comes to the Droid in a free, ad supported way. If you are looking for fun, addictive games, this is at the top of the list. Angry Birds Seasons – If you can’t get enough Angry Birds, fret not, for there are additional levels for X-Mas and Halloween, if not more holidays coming. Assassin’s Creed – Run around Jerusalem 1191 AD as Altair, an assassin charged to kill eight men to end the Third Crusade. Dungeon Defenders – This action-rpg is the first Unreal engine based game for the Droid and heralds more impressive looking games, like this one. Fruit Ninja – Swipe your finger across the screen to slash fruit and amass points. Game Dev Story Lite (Full paid version)- Manage a virtual game development studio in this simulation game to try and get to the top of the video game industry. Homerun Battle 3D – Swing for the fences in this 3D baseball game where the further you hit the ball the more points you get. NESoid Lite – Play your favorite 8 bit Nintendo games with this NES emulator. For more on emulators for the Droid, check out my previous article on emulators. Oregon Trail – Carry spare wagon parts in case your wagon breaks an axel and try not to die of dysentery as you attempt to traverse the Oregon Trail to start a new life with your family. Raging Thunder 2 (Lite Version) – This 3D driving game is the best driving experience you can get on your Droid phone. Race through vistas and upgrade your cars in this adrenaline packed street race. Robo Defense – In this tower defense game, set up your robots and take out the evil robots before they can attack your base. Rocket Bunnies – Slingshot rabbits from planet to planet past other creatures and save them from their nemeses. Splinter Cell Conviction – If you are fan of the Sam Fisher stealth espionage games, then this is your portable answer to battling enemy agents. Wordfeud – If you love Scrabble and word games, you can play your friends asynchronously in games of putting words together on a game board. The Droid phones are a quality gaming platform that is always close by. With the list above, you will never be at a loss for something to do in idle moments.